Description: A free customizable pest diagram template is provided to download and print. 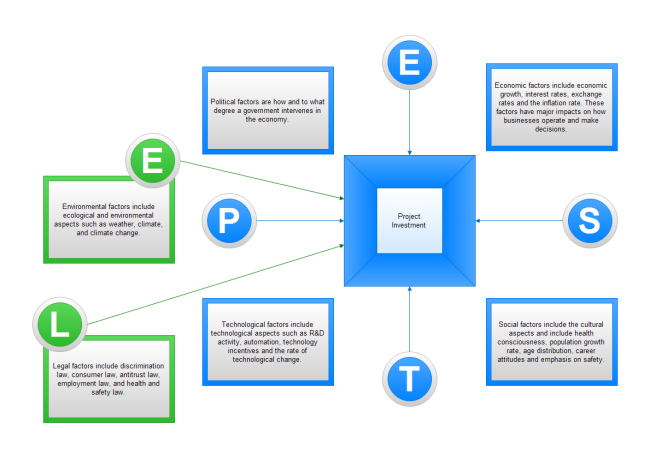 Quickly get a head-start when creating your own pest diagram. In addition to political, economic, social and technological perspectives, environmental and legal factors are also added in this template for their critical significance to human life.